In a moment of inspiration to create and make something new, Tom Moser, himself a veteran of the United States Air Force, decided to tackle an interpretation of the American flag in walnut, cherry and maple, the same premium resource as our furniture. The first flag hangs in the Dirksen Senate Building in Washington DC, on loan to US Senator from Maine Susan Collins. 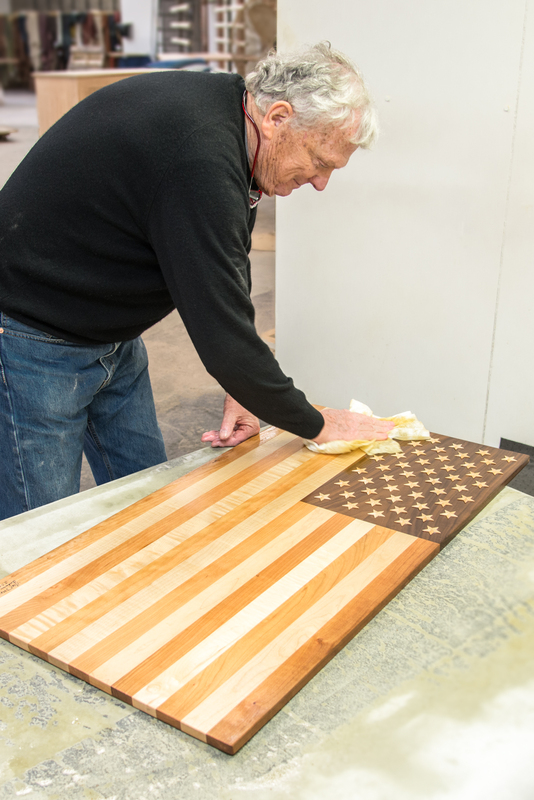 Several others have since been made and, by popular demand, Tom is now making flags in limited quantities as his schedule permits. Available in three sizes, each is made out of American black cherry from Pennsylvania for the red stripes, figured maple from Maine for the white stripes and the stars, and black walnut from Missouri for the blue star field in upper left. 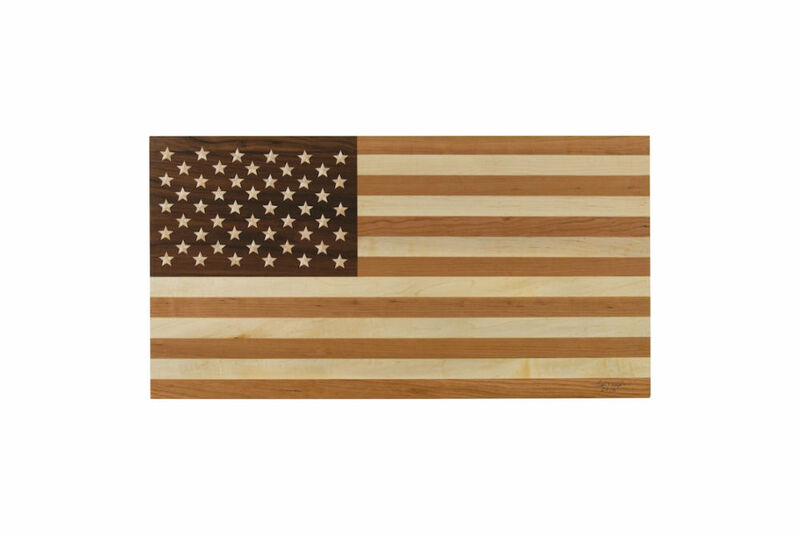 With just a little imagination this large wooden panel becomes a US Flag and pays homage to the good fortune we have had as a company and as individual citizens of this very special place we call America. 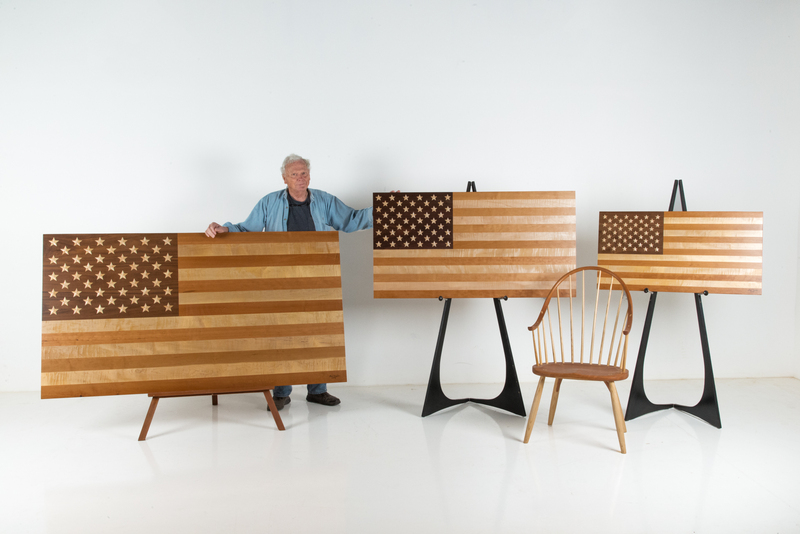 These flags may be displayed on a easel (not included), or hung on a wall. The large and medium flags are hung using a French cleat (included), and the small flag is hung using wire hangers (included). 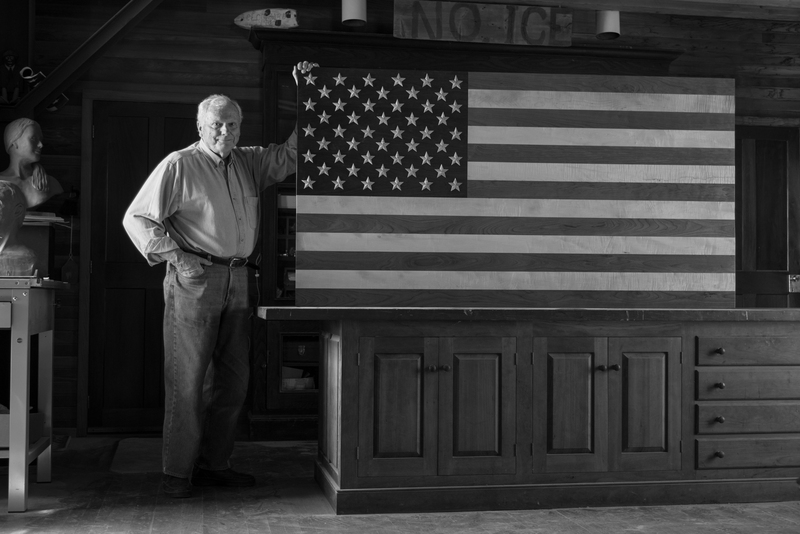 Please note: These replica flags are artwork, rather than functional furniture. As such, while they do carry our 30-day unconditional guarantee, they are not subject to our lifetime warranty. Additionally, the delivery charge for each flag is 5% of its price ($400 on large flags, $325 on medium flags, $250 on small flags) rather than our standard 10% delivery rate.